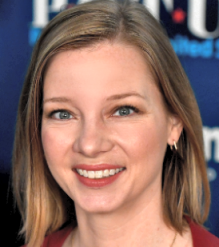 SiriusXM announced that ABC News political contributor, pollster and author Kristen Soltis Anderson will host a show on SiriusXM P.O.T.U.S. channel 124. "The Trendline with Kristen Soltis Anderson" will air Saturdays from 10-11am ET starting November 10. Each week, Anderson will analyze the newest data to determine what can be learned about hot political topics and cultural trends. She'll dig in to current data and break down what it means for the future course of politics, including the 2018 midterm elections. Throughout her career, Anderson has worked as a pollster and political analyst. She was named to Time's list of "30 Under 30 Changing the World," one of Elle's 2016 "Most Compelling Women in Washington" and The New York Times Magazine featured her research on millennial attitudes. In addition to co-founding Echelon Insights, a research and analytics firm, Anderson is also an ABC News political contributor, Washington Examiner columnist, and author of "The Selfie Vote: Where Millennials Are Leading America (And How Republicans Can Keep Up)." "Kristen has an incredible ability to make polling and data accessible and interesting to a broad audience," said SiriusXM Senior VP/News, Talk and Entertainment Megan Liberman. "Her insights into the public's views on politics and social issues and her expertise on the Millennial generation will be terrific additions to SiriusXM's news coverage." "I'm so excited to have a chance to go beyond the news of the day and really cover the underlying trendlines that tell us where America is heading," added Anderson. "From generational changes to tech and consumer trends, my SiriusXM show will dig into what's happening now and what's happening next that's driving our politics."